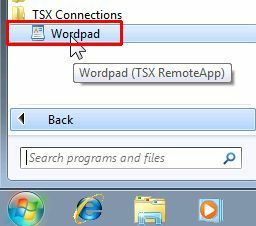 Thanks to TSX Remote App user can be granted remote access to single application without the need of sharing full desktop. 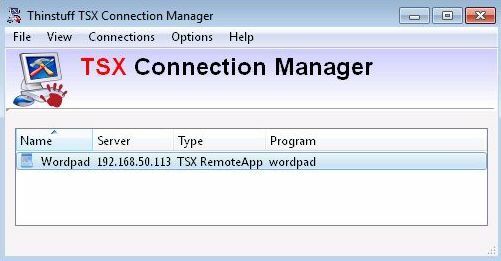 Application published through TSX Remote App have the same look as if they would be running localy. Furthermore they come with their own shortcut in the Start menu as well as the desktop icon with regular look. 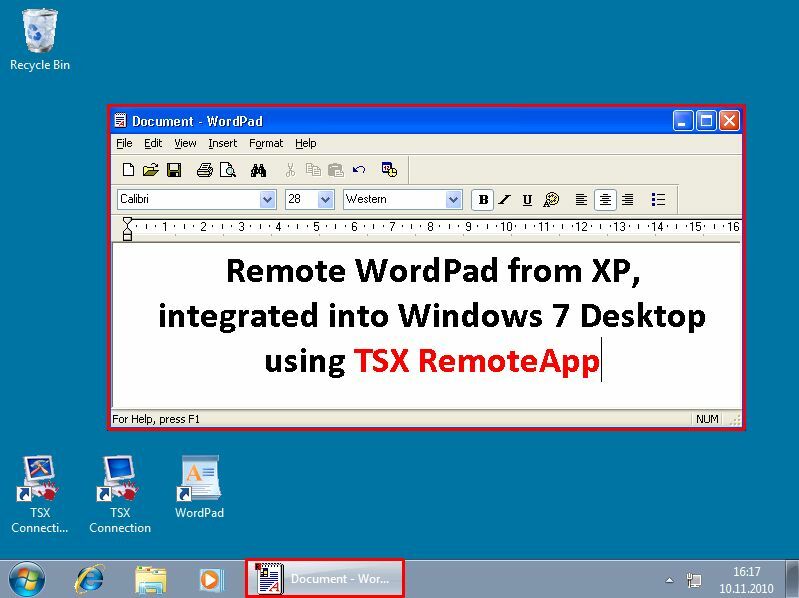 Underneath screenshoots are presenting the Remote Application and normal remote desktop connection access. 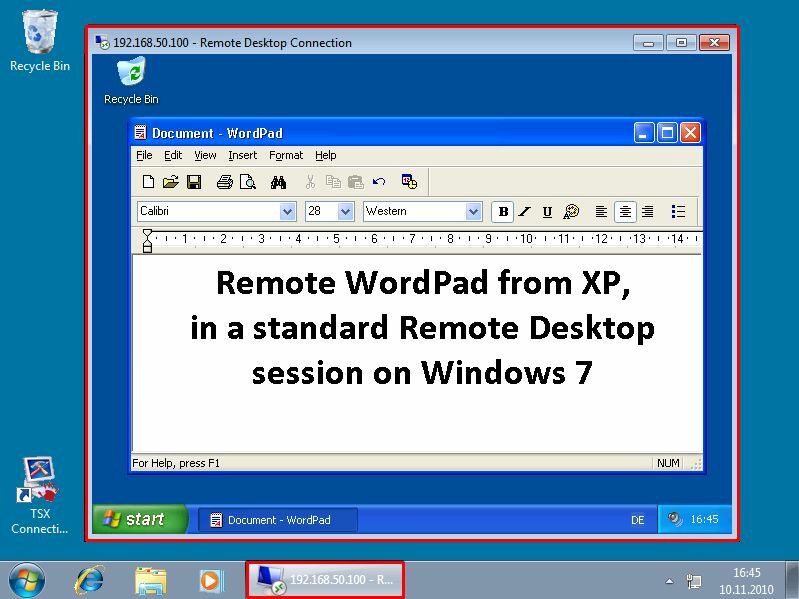 As a paid addition to the Windows server with terminal services ( or remote desktop access or virtual desktop feature). In this case stand alone license for the product is needed. 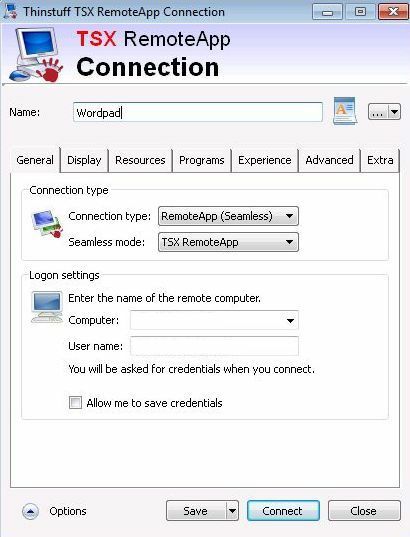 Feature can be used on the virtual computers to share single aplications. Suported virtualization systems: XEN Server, XEN Desktop, VMWARE Server, VMWARE Workstation, VMWARE View, Microsoft Hyper-V Server, Microsoft Virtual PC, Windows 7 XP Mode, Virtual Box etc. The package is containing the full client of the remote desktop supporting newest version of RDP.